If you have a recurring sin that you can’t seem to escape, expanding repentance prayers by doing more than just asking for forgiveness can often break the cycle. When you understand that something is wrong (sinful), you pray that you will stop, and yet you don’t, then you have gotten trapped in what I call a sin cycle. The danger of a sin cycle is that it can trap you spiritually from moving forward. You are like a man trying to walk down a path with one foot nailed to the ground. You keep spiraling around that one stuck foot. It feels like you are moving, but at the end of the day you haven’t traveled anywhere. So, why does that happen and how can you break the cycle? Specifically, in this post I want to focus on five ways you might expand and target your prayers so that spike can get pulled out of the ground and start you moving down the path again. First, you need to understand that repentance is a process. 1. Recognition.–Knowing what you are doing is disobedient to God. 3. Asking Forgiveness–Just what it sounds like…asking God to forgive you. 4. Feeling Remorse–Having a contrite heart. 5. Changed behavior–Dying to sin and living into Christ. If any piece is lacking then you are likely to either cycle or find a substitute sin. Here is a tool box of repentance prayers that I recommend you use regularly. Each of these prayers fuels a different component of the repentance process. 1) Prayer for Understanding–Pray to know and understand how you are sinning. You can ask God to reveal to you sins that you may be denying, ignoring or justifying. Or, what is actually perhaps even more effective is to regulalry pray for God to help you understand truth. If you understand truth, evil will be obvious. For a good biblical example of praying for understanding read Psalm 119. In it the psalmist repeatedly calls upon God to teach him and to bring him greater understanding of God’s precepts, statutes, and commandments. You get the idea. This specificity is really important because of what I am about to address in the next form of pray. I don’t ever recall one of us passionately recanting and begging for forgiveness through tear-filled eyes. Almost always, our response was a terse (almost expletive), “Sorry” forcefully spat out with a touch of vehement resentment. Then mom would intone the age old words all parents know, “Say it like you mean it.” We would muster up a more acceptable, “Sorry.” Nothing had changed though. It was the purest form of hypocrisy. A perfect expression of confession without remorse. you can guess the inevitable result…we would begin fighting shortly. Recurring sin is often times a product of confession without remorse. The head and the lips are honoring God but the heart is not. You enter the ranks of those long ago Israelites who offered sacrifices while their hearts were still far from God when you confess with the lips and deny with your future actions. if you do that, like my sister and me, you are almost sure to relapse. Hopefully, you can see now why I said that specificity when confessing is really critical to this form. Taking time to confessing in detail as I described in section two will actually go a long way toward softening your heart. You are conditioning your heart and mind to recognize the consequence of your sin. I find that understanding the consequence of my sin helps me feel greater remorse. Greater remorse turns my heart against sin. While specificity of confession conditions your heart, praying for God to soften your heart invites divine power into that process. Image how much you would retrain your mind if you prayed such a prayer daily or even multiple times a day. Imagine how difficult it would become to judge others if you fostered a mindset of gratitude and humility. Think for a moment about a sin in your life that is a perennial issue for you. What is the exact opposite of that sin? What mindset would you need in place that would eradicate any desire to commit that sin? If you were to promise to God, to pledge to God a new path would would that path be? Think very specifically about what it would be in terms of how you would behave, speak and think. 5) Prayers for support. As you move down a new path don’t do it alone. Pray for God to strengthen and guide you. Pray for God to protect you. Pray for God to send you mentors or people who walk along side you. Pray for the anointing of God’s Holy Spirit. Invite God to transform you by renewing your mind. Do not treat what I have given you as either self-help advice or a magical formula. Why it’s not self-help advice? Sin is a spiritual matter that has some mechanical aspects to it; however, sin at its heart is a spiritual matter that divides you from God. Only God can restore you to a place of righteousness before him. You won’t work you way back into his good graces, but you can honor God and show your gratitude for all God does by striving to live a Godly life. Why it’s not a magical formula? The prayer suggestions I am making are not some special words you can use to manipulate or control God. These are ways to begin to take seriously the fullness of what it means to truly repent from a sin. These are ways to strategic ways to: address your responsibility for sinning by conditioning your mind, acknowledge your need and dependance upon God to escape sin, and invite God’s power and presence into the process of change. I know from the presence of similar prayers in scripture and from my own experience that a discipline of each of these prayers of repentance can mean the difference between being trapped in sin or free in Christ. I would invite you to pick even just one of these prayers and commit to a discipline of praying it for the next 10 days around a sin in your life that you cannot seem to escape. I welcome you stories and comments. 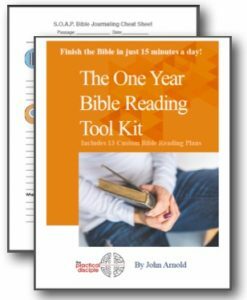 How to Stop Recurring Sin Worksheets. If you’ve listened to Episode 1 in this two part series, the resource for it will be released on 11/24 with the second Episode. Episode 2 will address the physical actions we can take to break the habit of sin. Paul wrote, “But put on the Lord Jesus Christ, and make no provision for the flesh, to gratify its desires.” Romans 13:14. That’s easier said than done, unless you have some strategies for interrupting a habit of sin. That’s precisely what discuss in the next post.